Hi, we're Anna Bella, Johnna, and Farris. We're from Alabama. We care about what happens here in Alabama, to young women like us. We have a voice. Thank you for hearing it. Please promise us you'll vote. 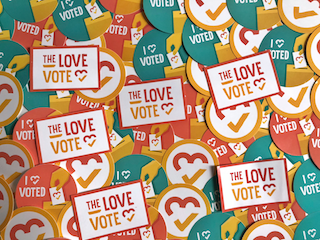 Show Anna Bella + Johnna + Farris love + inspire others + get voting info + get event invites + get stickers + create change!